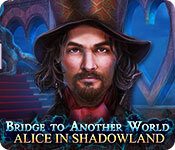 Bridge to Another World: Alice in Shadowland is rated 4.4 out of 5 by 27. Rated 5 out of 5 by katnap123 from This game is one of my favorites Every so often a game comes along that excels above the rest. This is one of those games. The story is intricate and involved. The characters are well developed. The voice acting is superb. The music is addictive and gives the entire experience depth. 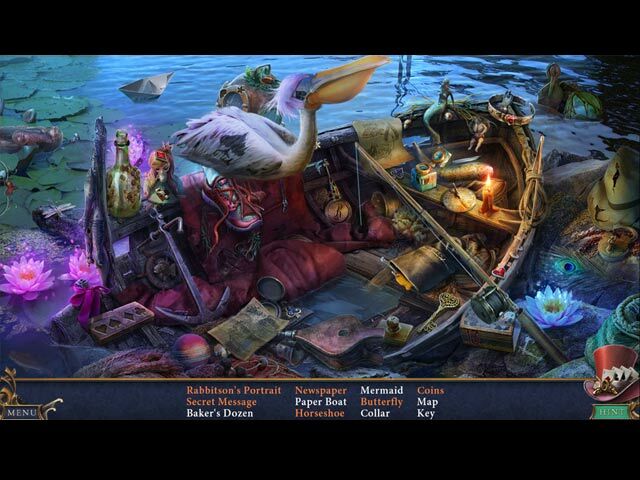 The puzzles are fun and varied. I purchased this game about a year and a half ago. I just now played it again for the second time. I remembered that it was good, but I had forgotten just how good it is. 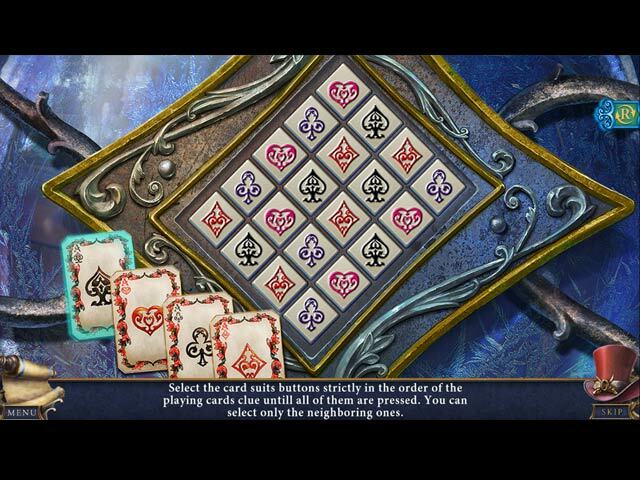 There are many games based off of Lewis Caroll's Alice in Wonderland. Bridge to Another world even made another more recent take on this classic in "Through The Looking Glass," and while that one is a great game as well, this one is my favorite. Rated 5 out of 5 by juliedv5 from LOVED it Worth the money, so much places to go, the game was long and very entertaining. Rated 5 out of 5 by ninja226 from The dark side of little Alice This is a tribute of sorts to Lewis Carroll's Alice in Wonderland, albeit a dark tribute. The artwork is fantastic, there are many creative touches throughout, a lot to see and do. The mini games are mostly easy, with a few that may take a little more effort. There is a huge surprise ending, but not sure I liked the twist because it leaves the ending a bit abrupt as a segue to the bonus chapter, which I can't access as this is not a CE. Anyway, it is an excellent game that will be as good 5 yrs from now as it is today. I highly recommend this game. Rated 5 out of 5 by Ruckus777 from Cool Take On Alice in Wonderland! The wonderful world-building of this game was a great touch to make even a fantasy game feel more realistic! Details from the original source material sprinkled in (like Rabbitson's two twintails like a rabbit's ears and Cheshire's eye bracelet) were awesome if you watched the movie/read the book like I did as a kid! The graphics were really pretty and had some good touches like the spit on the screen from the Bandersnatch and the smoke when using the compass. The voice effects were also really cool, like the trapped shadows and the sound of the music underwater. The story seems a little bland for such a gorgeous game, the usual "normal person saves another world" trope but at least there's the good spins from Alice. The gameplay itself was really nice. The puzzles were easy on the casual setting, which was nice to breeze through, and using the compass was a really cool feature. Overall a lovely game for any Alice fans! Rated 5 out of 5 by andibeard from Creative retelling I really enjoyed this re-envisioning of "Alice" into a more modern fantasy game. I thought at first it would only be a cheesy and cheap take on the story, but they had some clever ways of intertwining the Wonderland characters with a story of intrigue and betrayal. Positives: A lot of variation in the minigames and HO scenes; a good range of moderately simply to clever in the games and puzzles; good (though relatively fantastical) graphics; a satisfyingly long story; and some refreshing twists on the old tropes. Negatives: Some of the old tropes were fairly predictable, and the storyline really does try to do too many things at once, making it hard to follow sometimes. I hope that there will be a sequel to this one. I enjoyed it and would like to see the story fleshed out a bit more in prequels and sequels, especially since this one seemed to leave a few plot holes. Even so, I enjoyed it tremendously and think that anyone who enjoys the fantasy HOPA genre will get a kick out of this "novel" approach. Rated 5 out of 5 by afarrell from great value for a great game This game has everything.The story line, puzzles and visual affects are fantastic. I would have to say I am hopeless when it comes to HOG games, but this game is for the experts or the beginners. Thanks Big Fish for good quality PC games for all levels. Rated 5 out of 5 by denniann2 from a great game switching between shadows and not there is a custom level and interactive map or use the hint system. i really enjoyed this game. it was based on the 4 suits of cards. you, alice, are taken while jogging and wake up in shadowland. the queen of hearts is taking people's shadows and then you are stuck in shadowland. you have to find your shadow to get back to the real world. there is an opposition that is fighting the queen but they are not being very effective and have to stay hidden so they won't be caught by the queen's army. 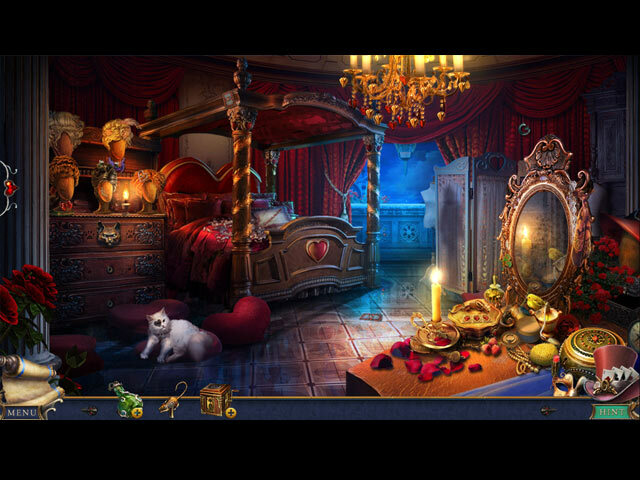 this game is based loosely on alice in wonderland if you haven't already guessed. sequel...there has other others, i think.